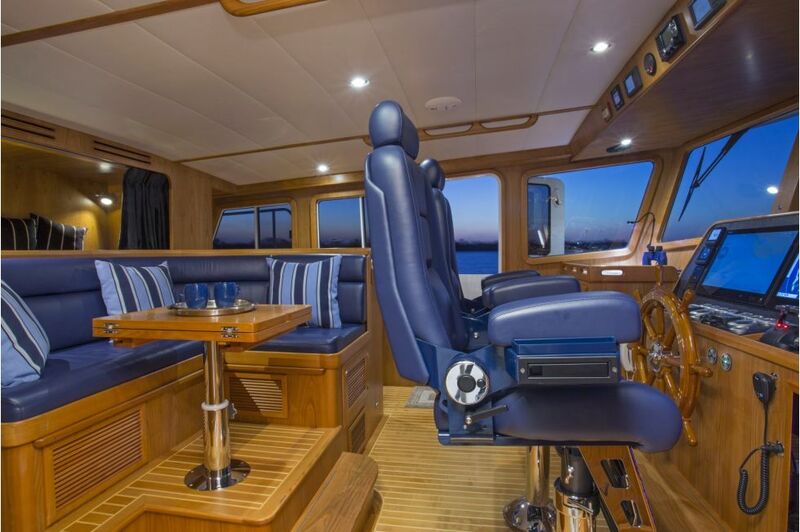 Whether the dream is Cabo, Cannes, or exploring the nearby coast, the Krogen 58' EB (Extended Bridge) is the embodiment of beauty and function, satisfying both heart and soul. 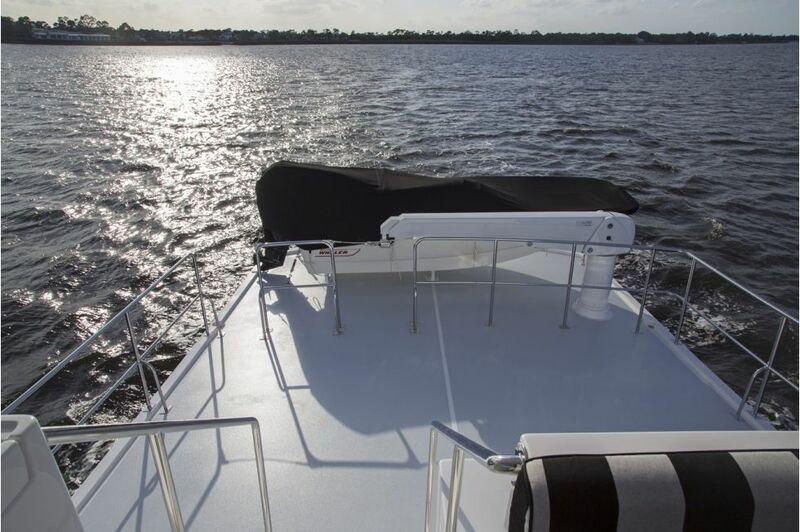 Comfortable, capable, safe and sure, her Pure Full Displacement hull form and her next-generation materials and systems produce an unforgettable cruise. 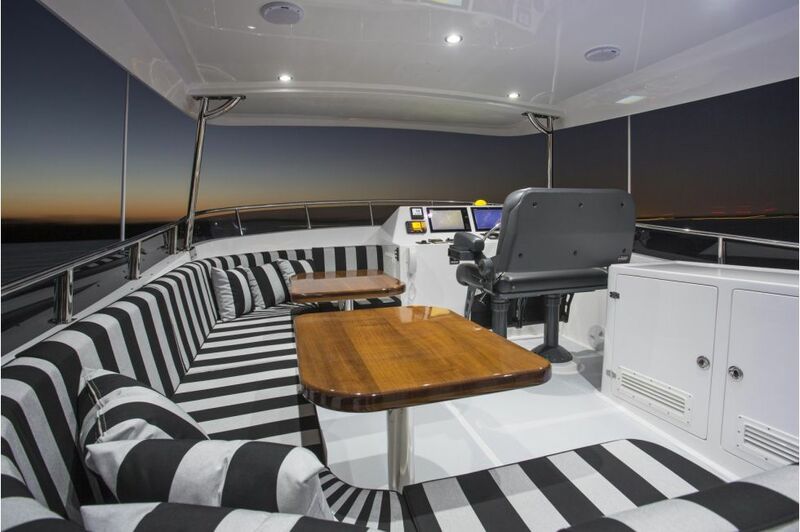 She’s easily piloted and handled by two people without the need for additional crew, and her newly designed extended flybridge accentuates the open-air experience. 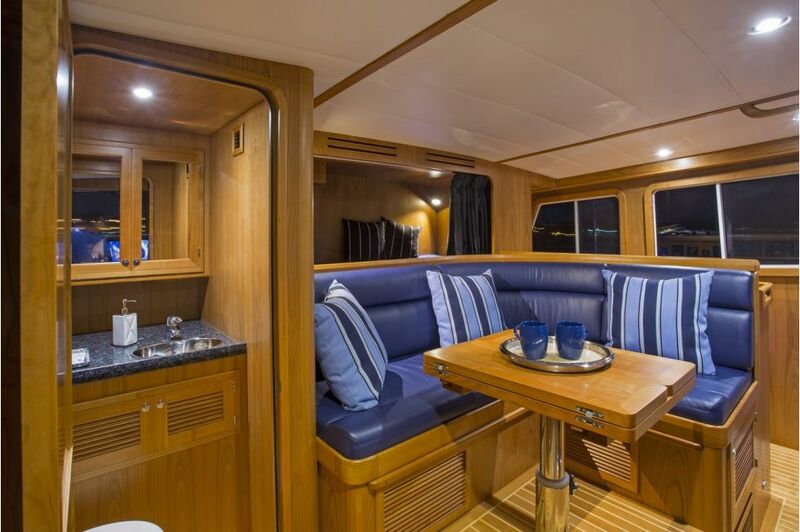 The flybridge of the Krogen 58' EB, perched with an unobstructed view of the horizon, is built to be enjoyed like a rooftop deck of a trendy urban restaurant. 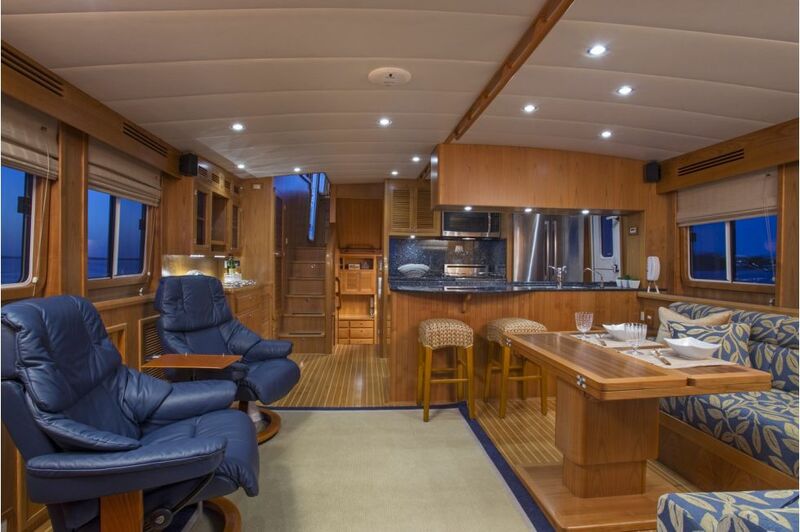 An available wet bar is ready to set the stage for relaxation and unwinding after a day at sea. 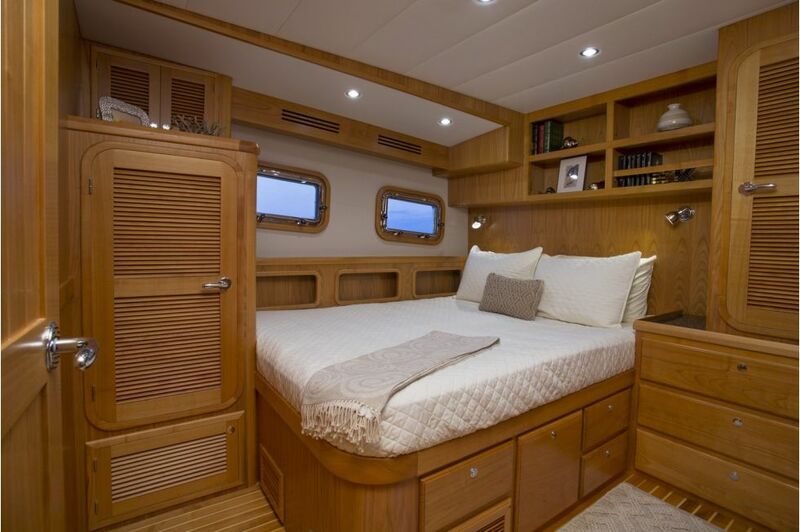 Under an optional hardtop, the U-shaped settee is as comfortable for 10 as it is for two people. 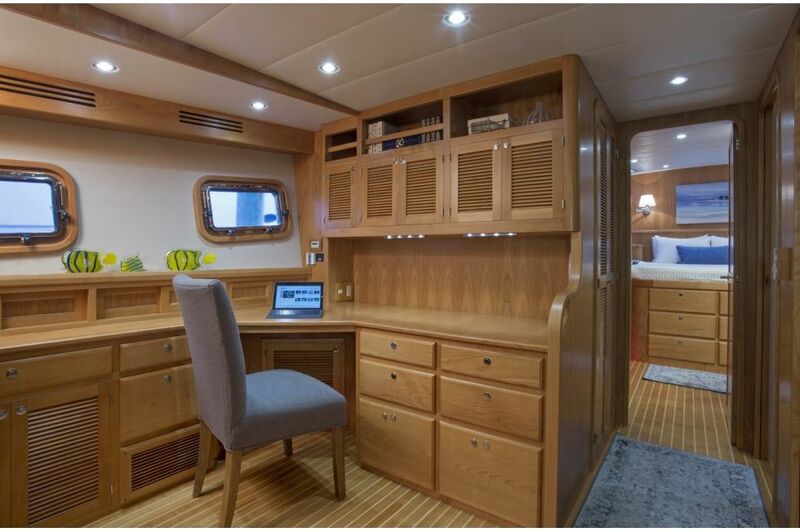 Aft of the flybridge, a sizeable boat deck stores kayaks, SUPs, inner tubes and bikes, as well as a tender. 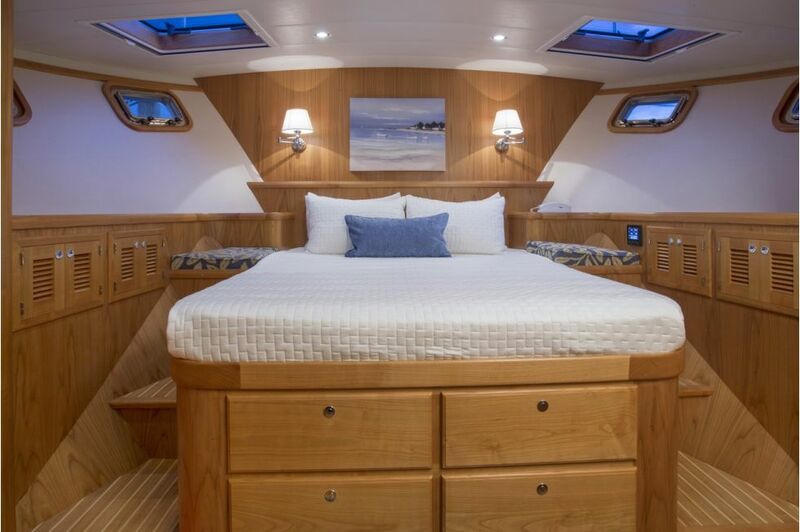 Of course, the interior of the Krogen 58’ EB shines just as much as her exterior, with her roomy pilothouse, optional day head and three stateroom standard layout (or design it to your liking, with two staterooms and an office!). 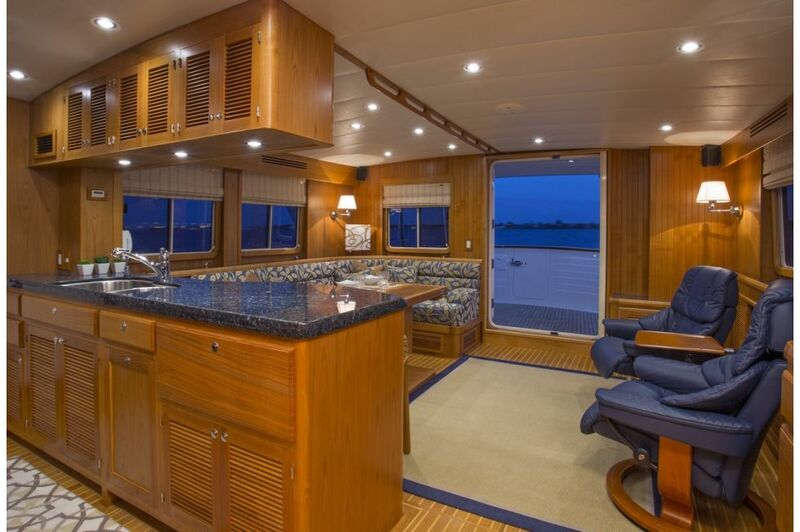 There’s nothing this 58 EB’ doesn’t provide – she’s the full cruising package. 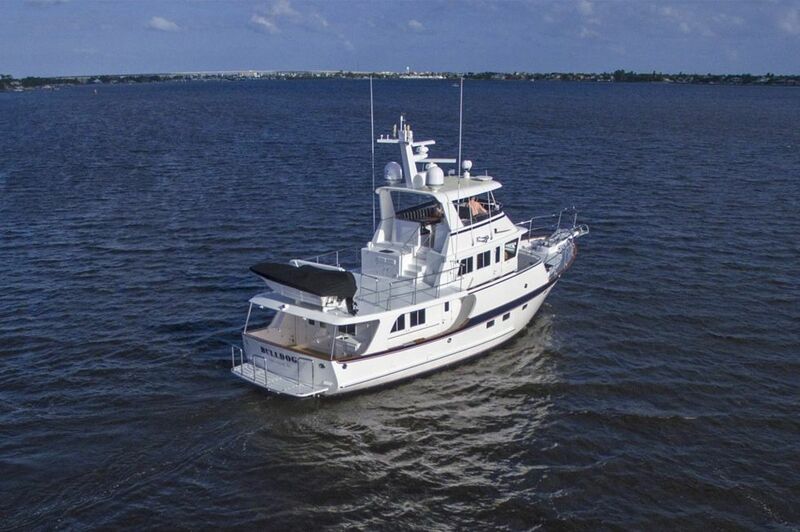 The Krogen 58’ EB is available standard with a single John Deere 325hp, or optionally equipped with twin John Deere 160hp diesels.